Matt Garza went a combined 10-6 with a 3.82 ERA for the Cubs and Rangers last season. What is the holdup with the Milwaukee Brewers and free-agent right-hander Matt Garza? As of Thursday night, the answer was not clear. The Brewers reached agreement with Garza this week on a four-year, $52 million contract pending his passing a physical, sources told FOX Sports. Garza, 30, took that physical in Milwaukee on Thursday, and the team scheduled a news conference to introduce him later that day at Miller Park, sources said. If that is the case, the two sides might simply be hammering out the final language in the contract. 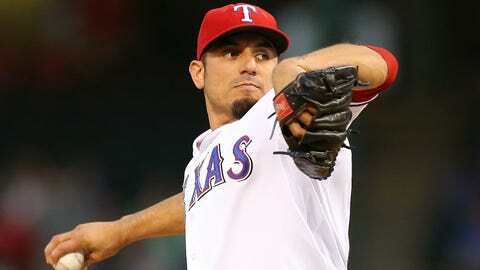 Though Garza did not pitch after July 21 in 2012 due to a stress reaction in his elbow, he did not once receive treatment for his elbow last season according to officials with his two teams, the Chicago Cubs and Texas Rangers. The Brewers, a team that has been mostly quiet this offseason, emerged as something of a surprise bidder for Garza. 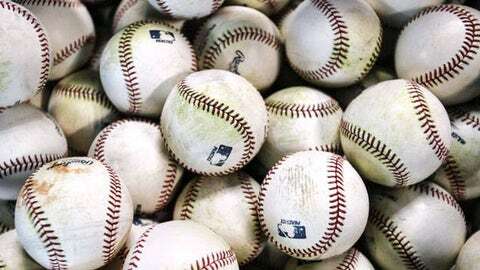 But their owner, Mark Attanasio, enjoys a strong relationship with Garza’s agent, Nez Balelo of CAA, who represents Brewers outfielder Ryan Braun and former outfielder Norichika Aoki. Garza, who went a combined 10-6 with a 3.82 ERA for the Cubs and Rangers last season, would bolster a Milwaukee rotation that already includes right-handers Kyle Lohse, Yovani Gallardo and Wily Peralta. He also would return to the more pitcher-friendly National League after a brief and rocky stint with the Rangers, who acquired him from the Cubs last July 22. The trade allowed Garza to become an unrestricted free agent — players traded in the middle of a season are not subject to draft-pick compensation, increasing their appeal. The Arizona Diamondbacks and Los Angeles Angels are among the other clubs that have shown interest in Garza, whose ERA in the NL is 3.45 in 372 2/3 innings, compared with 3.86 in 592 1/3 innings in the AL.